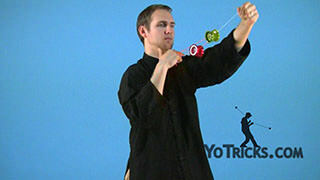 Learn the 3A trick known as Mach 10. 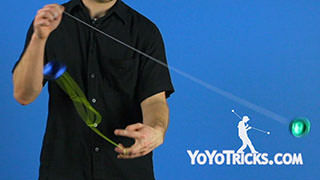 Before you learn this trick, you want to know how to do the Blueline Mount and Blueline Barrel Rolls. 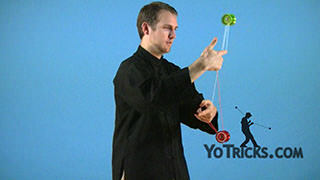 Both of those are essential to the trick. It is also important that you are very comfortable performing the 1A trick Mach 5 because this is just a 3A variant of that trick. 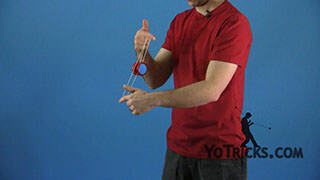 To start the trick off, you will get into a Blueline Mount. 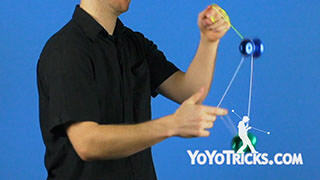 It is very important that your non dominant hand be in front. 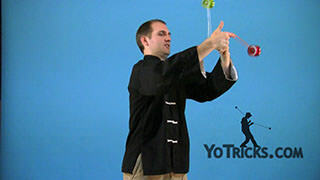 If you learned the trick form our video, that should be how you end up. 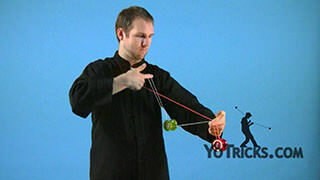 But however you get into it, make sure that the non dominant hand is in front. To start, I will get into my Blueline Mount. My non dominant hand is in front. 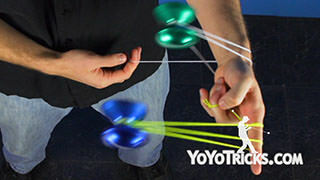 I am going to do a Barrel Roll with my dominant hand. 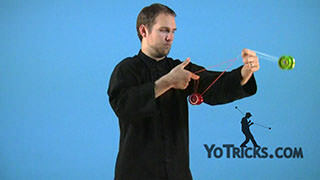 Then I am going to take my dominant finger and go between the two yoyos and straight up. 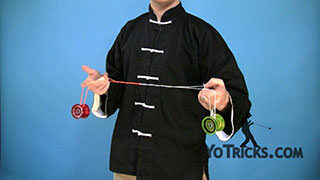 Then I will take my non dominant finger, go between the two yoyos, and straight up. 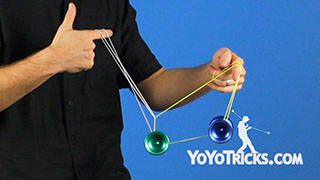 You will see that gives me some tension with which to do the trick. 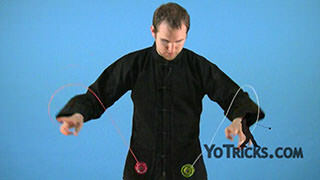 With your dominant finger in front, you are going to pass under the yoyo, then take your dominant finger here, go between the two yoyos, up, and back. 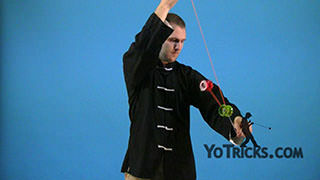 From there you can dismount like you normally would with a Blueline Mount. 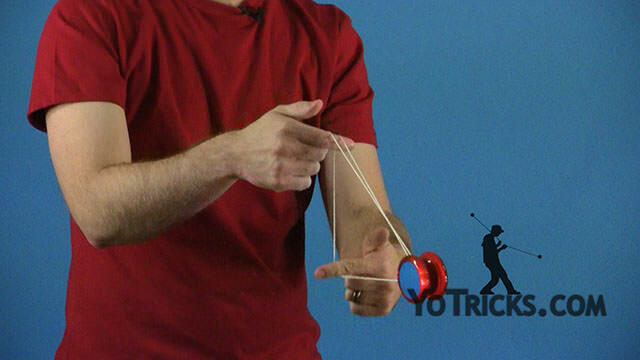 The biggest thing with this trick is getting the pattern down. 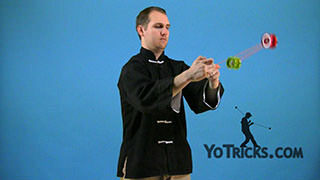 You want to really memorize that any make sure that you understand it before you do the trick. So again, what we are doing is taking our right hand forward with a barrel roll. 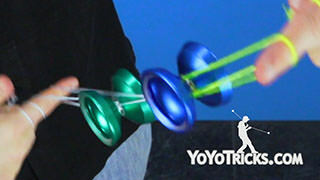 Then our dominant finger is going to go between the two yoyos and straight up. 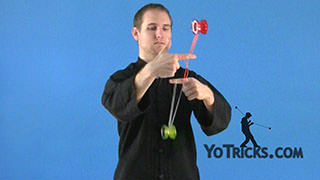 Then our non dominant finger will go between the two yoyos and straight up. 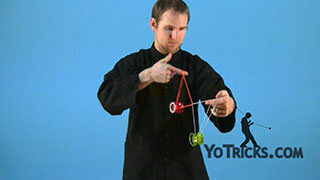 And then we have that tension to do the trick. 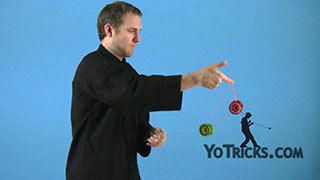 You want to end with your non dominant hand in front. Do a underpass underneath the yoyo with your non dominant finger. 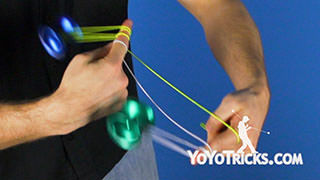 Take the dominant finger between the two strings straight up, and around. That lets you get to the point where you can dismount like you normally would. 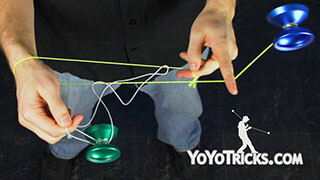 The other important tip with this trick is to make sure that your string tension is right when you are doing to trick. 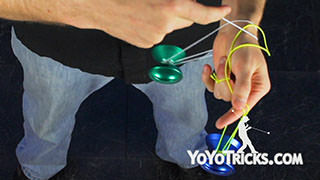 Just like with regular Mach 5, if your fingers are too loose, it does not really work. If your fingers are pulling the string too tight, a lot of times it will tilt the yoyo or it will stop the spin altogether like it has here. So it is really important that you are pulling on the yoyo with just the right amount of tension.That way you can perform the trick correctly without stopping the spin of the yoyos or causing them to turn. 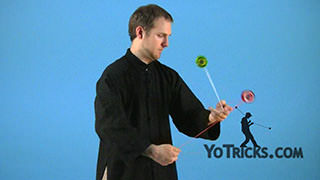 Once you have got it all, it just takes a little practice, put it together, and that is how you do Mach 10.